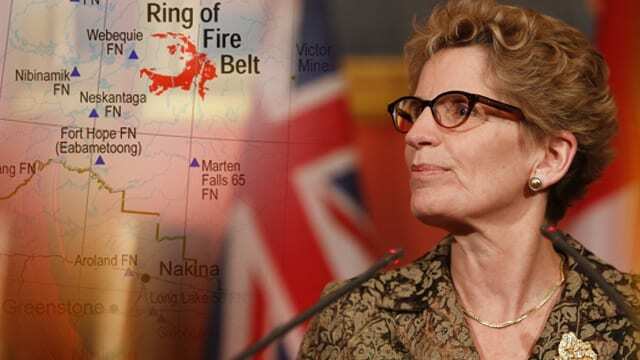 Ontario Premier Kathleen Wynne cut a side deal with three Ring of Fire First Nations after her negotiators failed to force through a wider agreement with other communities involved in long-running talks on the future of the chromite and nickel-rich region in the James Bay lowlands of Treaty 9 territory, according to Neskantaga Chief Wayne Moonias. Moonias, whose community is one of nine First Nations involved in negotiations on the Ring of Fire development in northern Ontario, said he received notice through an email late last week that the province wanted to sign an agreement with all nine First Nations on jurisdiction this past Tuesday. Provincial officials did not provide the text of the proposed accord until they were pushed to cough up a copy, he said. The text of the agreement was vague on planned legislative and regulatory changes to guarantee First Nation input and involvement in the Ring of Fire development, but it offered concrete timelines on construction of roads and the development of a mine by Noront Resources Ltd., said Moonias. Moonias said his community balked at the hastily arranged signing, partly because of the vagueness of the jurisdictional issue in the document and also because it did not allow for the full input from Neskantaga members before a final decision. “Our community is not prepared to sign on a document that says, ‘Go ahead government, do what you want, we will wait for you afterwards to deal with our rights,’” said Moonias. 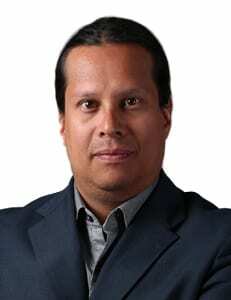 Moonias said he did not know that Wynne was cutting a deal with three of the nine First Nations. Wynne announced Monday her government had reached an agreement with Webequie, Marten Falls and Nibinamik to build year-round roads connecting existing provincial highways to the communities and a mining development proposed by Noront Resources Ltd.
“There is a sense of betrayal of the way things were done, the secrecy, the backroom deals that were struck,” he said. Premier Wynne’s office referred questions to Minister of Northern Development and Mines Michael Gravelle. The chiefs of Webequie and Nibinamik First Nations held a press conference in Thunder Bay Friday to clarify Wynne’s announcement. Webequie First Nation Chief Cornelius Wabasse and Nibinamik First Nation Chief Johnny Yellowhead said they did not agree to construction of the all-season road, but rather a study of the feasibility of a “multi-purpose corridor” that could include a road, transmission lines and other infrastructure needed to underpin expected Ring of Fire development. Any attempt at construction will be opposed by the Neskantaga and Eabametoong First Nations. “I am disappointed to see an announcement by the Wynne government about building roads in our territories when there is no community approval of a proposed agreement recognizing the inherent rights and treaty rights of First Nations over territories,” said Ebametoong Chief Liz Atlookan in a recent statement. Moonias said his community could oppose any new construction on the ground or in the courts. Ontario is anxious to exploit the potential multi-billion dollar bonanza from the mineral-rich Ring of Fire roadless region which sits roughly 540 km northeast of Thunder Bay. The province sees the economic impact from developing the region similar to that of the bitumen sands in Alberta. Ontario signed a framework agreement with the nine First Nations in 2014 to pave the way for the development. Former Liberal leader Bob Rae was tasked with representing the nine Matawa First Nations at the table while former Supreme Court justice Frank Iacobucci was appointed to represent the province. Those talks floundered and a second table was created to discuss the inherent rights and jurisdictional issues on the Ring of Fire. Wynne warned the nine chiefs last spring she was ready to walk away from the table and the $1 billion in potential infrastructure funding unless the premier saw movement in the talks. This is not about your tax money, it is about our rights under TREATY that we share in resources that first nations did not relinquish in the said TREATY. AS far as your agreement that was sighned on behalf of the immigrants u have treaty to pay tax to governments not to Indians. We have trillions in trust accounts that pays for inac not to mention bridges, government buildings. So please address your concerns of these items u know nothing about to your M.P. so he is enlightened also. How is it possible for some of these communities to be against a year round road that will increase the standard of living for everyone who lives there? Reduced costs for everything that had to come by plane or ice road and will be able to come by truck. Better access for residents to leave and re-enter the community without horrendous costs associated with air transport. I just dont get it. The fighting over resource allocation can continue on another day. Just get the damn roads built while the current crazy spend like crazy government is in power. If they wait, they may wait forever. It truly looks like Ontario has failed and damaged a potential positive Treaty Relationship. Has Ontario not read and studied the last 100 or so Court decisions on resource development? Cliffs Resources was perhaps the sanest of parties, accepted a loss of about $500 million, and took a long walk in the snow, right out of the Ring of Fire and Canada. All existing and potential investors have to be despondent; as do First Nation citizens. Right now, it looks like the Ring of Fire burns from within Ontario. It will take a long time correct these grave wrongs. Then lets get the Ontario Gov’t to take back the 3 Trillion $ that our native fellow friends have already received from our taxes and give it back to our poor over taxed taxpayers that live in near poverty. What would the chiefs say about that – as they ride around in there caddies , and planes, and boats, and live in there massive estates with there hidden bank accounts? What’s good for the goose is good for the gander. LOL !!!!!! !